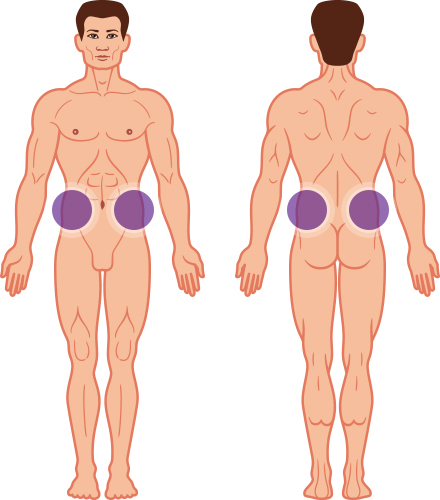 Male love handles or flanks are located just above the belt line on the sides and back. 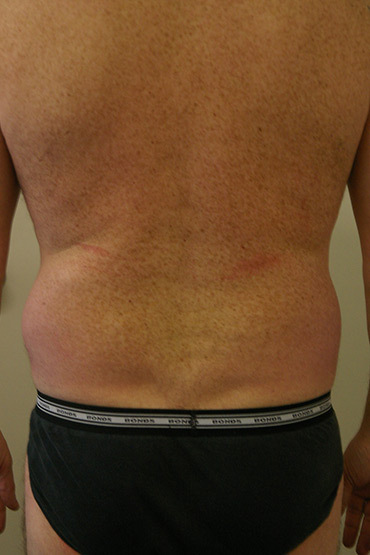 Liposuction to the hips/flanks can greatly improve the appearance of this area and reduce the amount of fat that bulges over the belt. 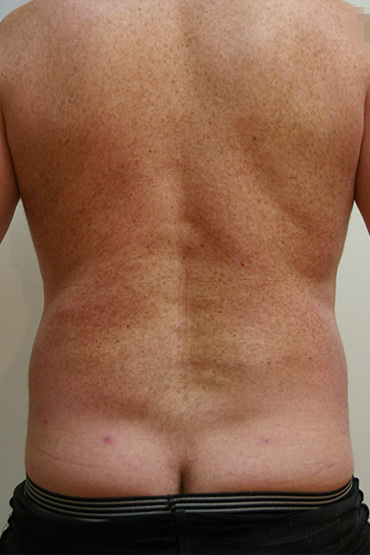 Removing hip curves allows for an athletic looking back triangle to appear.